Long Island | Officina In s.r.l. Metal, heat-treated wood and Carrara marble: Long Island, a key feature in the living area. 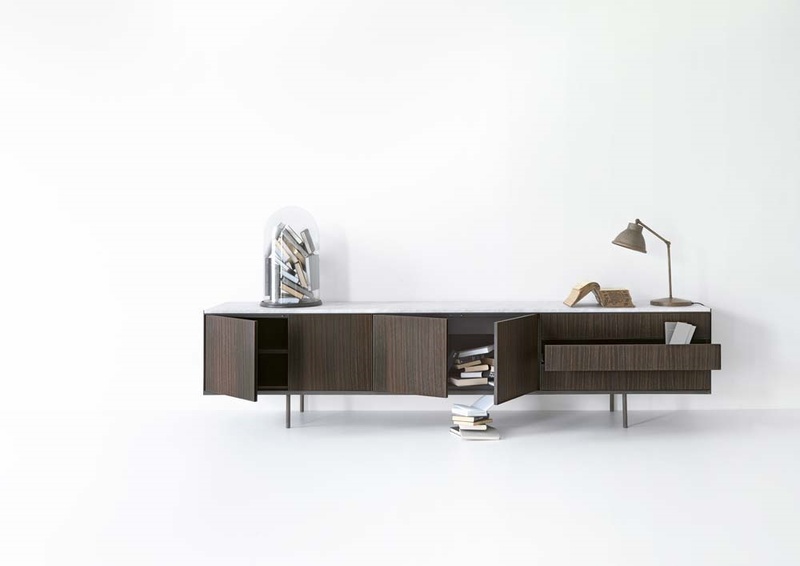 A rigorous and compact volume, equipped with open units, drawers and doors with brushed metal profiles, while the feet in treated metal confer lightness.